Historically in China, those individuals who ate the NingXia Wolfberry enjoyed a longer, more productive life and had better vision, less heart disease and less cancer than many of the cultural groups studied! NR is one of the “ancient Chinese health secrets”! The NingXia Wolfberry is the berry of choice for Chinese olympic athletes. 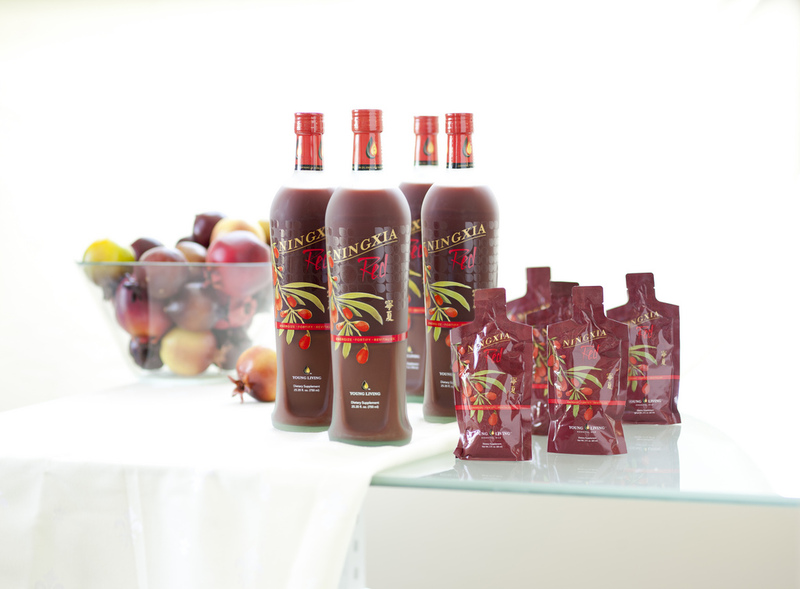 The NingXia wolfberry provides ample antioxidants to strengthen the immune system. Antioxidants in NR help fight free radical attacks that occur thousands of times a day to each cell of the human body. It has the highest S-ORAC rating for fighting the most abundant free radical that causes damage to our cells—the Super Oxide free radical. Eating NingXia wolfberries enhances Super Oxide Dismutase (SOD). SODs scavenge free radicals that damage the DNA of cells. This scavenging ultimately increases our ability to live longer and healthier. NingXia wolfberries’ free radical scavengers help to strengthen and support the cell walls. This supports efficient transport of flavonoid nutrients across the cell membrane or wall. It strengthens the brain neuro-transmitters against free radical activity, possibly slowing age related memory loss. The NingXia wolfberry is powerful in helping the liver function properly by boosting glutathione levels. Glutathione is the most important antioxidant and detoxification enzyme in the liver. It helps promote healthy eyes and vision. This wolfberry is high in antioxidant carotenoids including beta-carotene and zeaxanthin. Beta-carotene is good for the retina and zeaxanthin is needed for good eye sight. This wolfberry has the highest amount or zeaxanthin and other carotenoids of any food known. The main constituent in the NingXia wolfberry is lyceum barbarum polysaccharide (LBP), according to studies in China. LBP helps to rebuild white blood cell counts. Phagocytes and the activity of natural killer cells are increased and can bind to cancer cells. Studies have shown that consuming the NingXia wolfberry leads to the regression of cancer in 75% of its patients. Other nutrients found in the NingXia wolfberry have been shown to help prevent liver cancer. Other studies show NingXia wolfberry useful in the regression of malignant melanoma, renal cell carcinoma, colorectal cancer, lung cancer and other cancers. The NingXia wolfberry enhances T-cell function. In many cases, eating the berry lowers or stabilizes blood sugars. Minerals and vitamins in the NingXia wolfberry act as enzyme cofactors in the digestive process. It has a B vitamin complex essential to the body. It shows anti-fungal properties due to an amino acid called solavetivone. It also has anti-viral properties due to solavetivone. Solavetivone also exhibits anti-bacterial properties. The NingXia wolfberry contains beta-sitosterol, a natural anti-inflammatory, thus reducing pain. This wolfberry contains natural vitamins including multiple Bs,C and E.
It contains a very rare trace mineral, germanium. There are 6 essential glyconutrients, the good sugars necessary for optimal health and enhanced cellular communication. It has amino acids like L-arginine, which is necessary for maintaining, building and repairing our cells. NR has a high acid binding ability; it flushes out the acid that causes inflammation and stress. Getting rid of the acid slows down aging, illness and disease. The micronutrients found in the berry counteract mutations leading to cancer. Studies show that eating these wolfberries will decrease the amount of oxidation to cholesterol (fat) which leads to a process that creates plaque in the arteries. Oxidized cholesterol creates “sticky foam cells” that buildup on artery walls. Besides wolfberry puree, NR contains juices of apricot, blueberry, raspberry, purple grapes, and pomegranate which are blended with lemon and orange essential oils and sweetened with blue agave nectar. The NingXia Wolfberry: A Powerful Natural Ally against Disease and Aging by Dr. Hugo Rodier, MD. and Discovery of the Ultimate Superfood by Gary Young, ND, Ronald Lawrence, MD and Marc Schreuder.